With passion, a playbook, and plenty of good partners, you can spark a food revolution in your own town. Through the simple act of public conversation, we can change the future of food in our country – one city at a time. My goal was simple: to engage people of all ages in conversation about food. I didn’t care if the hot topic for any one individual was sustainability or urban farming; obesity, school food, or food labeling; home cooking; or, simply put, the joy of eating. I figured that if you could connect each person with a food passion, they would ride that ray straight to the center of change. Let’s Talk About Food has morphed into a citywide umbrella organization that presents educational events in partnership with universities, museums, libraries, hospitals, cities and towns, cooking schools, trade organizations, science festivals, and a host of other non-profits. We are thrilled to be in a partnership with The Boston Globe and Whole Foods Market. As the former food editor of the Boston Phoenix and a former restaurant owner, I was convinced that “Food, Inc.” would be the trigger for an energetic conversation. I wrote a glowing review. But surprisingly, the movie tanked. We put together a screening at Boston’s Museum of Science for the food community – chefs, nutritionists, academics, people from the public sector, and anyone else in our contact lists. The response was overwhelming. We filled auditorium at 2:00 p.m. on a Tuesday afternoon. At that moment, Let’s Talk About Food was born. Since then, we’ve held over 50 public events and partnered with the Museum of Science, Harvard Law School, the Chefs Collaborative, the New England Aquarium, the City of Boston, the City of Cambridge, and many more to bring experts and the public together. I am proud of what I’ve accomplished. But here’s the point: I didn’t do it alone. By asking organizations, experts, and volunteers to do what they do best, I was able to put together the blueprint for a community conversation about food. I’d love to share my experience with people in other cities and work together to get everyone, everywhere, talking about food. When everyone has a stake in what we eat, the quality of our food will soar. Let’s Talk About Food is the brainchild of Louisa Kasdon, a longstanding member of the Boston area’s culinary community. Kasdon is a food and health writer and a passionate advocate for public education around food and health. She started in the food world as a restauranteur, owning three restaurants before happily making the transition from preparing food to writing about it. Kasdon served as the food editor of the Boston Phoenix and has authored over 500 published pieces in regional and national publications. Kasdon is a winner of the M.F.K. 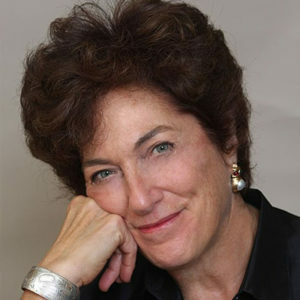 Fisher Prize for Excellence in Culinary Writing and is a graduate of Wellesley College, M.I.T., and the Wharton School. 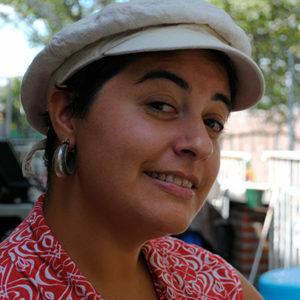 Leigh Vincola is a writer, editor, and freelance culinary professional. Her work involves marketing, sales, writing, branding, events, and PR for food-related businesses and organizations. Raised in Boston with dual U.S. and Italian citizenship, she is most inspired by seasonal New England and regional Italian foods. As the former director of marketing for Edible Boston, Leigh has a deep appreciation for the region’s farms, producers, restaurants, and chefs. 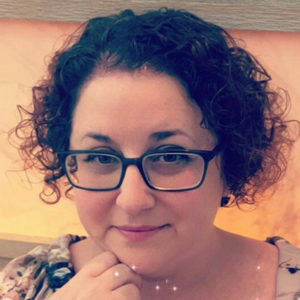 Leigh also has ten years of experience as a professional writer, editor, and writing coach. Her focus is on lifestyle articles, e-books, and web content writing, as well as non-fiction manuscript editing and development. Her writing has been published in local and international magazines, and she is working on a full-length manuscript. Leigh holds a bachelor’s degree in sustainable agriculture and master’s degree in English/non-fiction writing. Jennifer Garrett is a freelance project manager and event producer specializing in partnership development. After a 15 year career in retail supply chain and consumer product life cycle management, she decided to follow her passion for engaging audiences through creating unique and thoughtful educational events, joining the Lectures and Special Programs team at Boston’s Museum of Science as Associate Producer in 2010. During her time at the museum, she had the opportunity to work with luminaries such as actress and playwright Anna Deavere Smith, theoretical physicist and string theorist Brian Greene, and food journalist Mark Bittman. With a focus on local food, her freelance clients have included the Nantucket Wine Festival, Massachusetts Cheese Guild, The Trustees of Reservations, and the City of Boston Office of Food Initiatives.